Excellent location for walking tours of Killarney and start point for Ring of Kerry drive. Host was very accommodating and served excellent breakfasts. We were even moved to a larger room for our second night. Our only concern was the lack of electrical outlets by the bed, specifically for a CPAP machine. Nice B&B! Very friendly owners, Very flexible arrangements for breakfast --> delicious pancakes ;- Top located: quiet and really only a few minutes walk from center Would stay again !!! One of the best B&B in Killarney! Very good breakfast, beautiful and very clean rooms, short way to the towncenter and Siobhan is a very friendly Person. Lovely B&B a very short walk from the centre of Killarney so away from all the bustle. Very welcoming and hospitable hosts. Lovely room with comfy bed and a great slap-up breakfast. Would thoroughly recommend for a short stay. A very comfortable house. Good WiFi in my bedroom. Delicious breakfast and a chocolate biscuit in my room every day. Who needs more! Absolutely perfect. Tasty full irish breakfast, cozy bed and great hospitality. 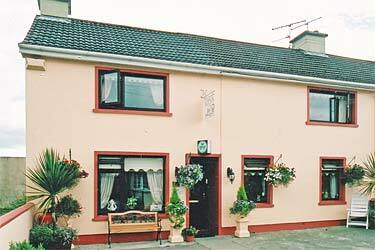 A homely B&B within a short walking distance from Killarney's High Street. The room was a bit small, but there is a mountain view and the location is very peaceful and quiet. A good Full Irish breakfast and a very comfortable bed. It was our second stay in Leens B&B, 12 years after the first one. And it was still as great as we remembered. ok. Perfetto, molto gentili, sono stato molto contento.